This year at the American Royal, there will be a Stock Show University Goat Clinic TODAY October 19th at 6:30pm. 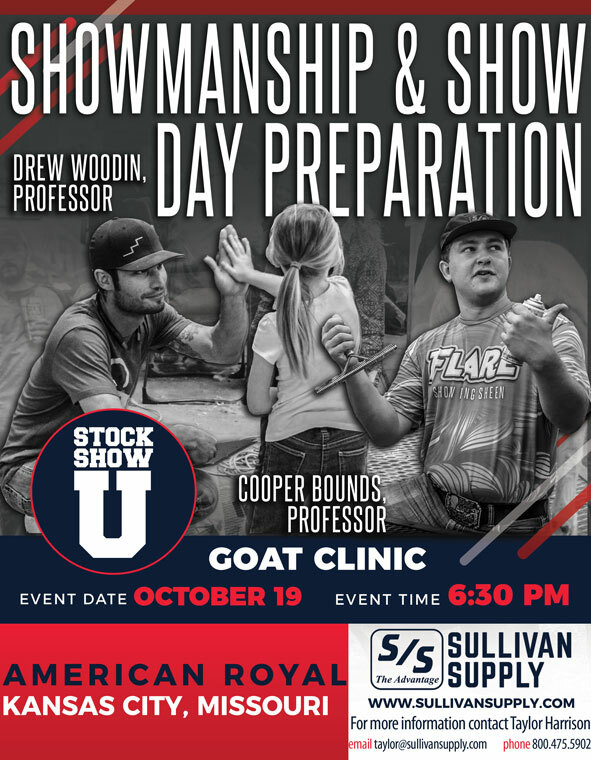 The curriculum will be Showmanship & Show Day Prep featuring professors, Drew Woodin and Cooper Bounds. We look forward to seeing you there!